Transportation Costs > How Much Does a Harley Davidson Extended Warranty Cost? How Much Does a Harley Davidson Extended Warranty Cost? A Harley Davidson extended warranty, a contract between the owner and Harley Davidson, continues to provide coverage after the manufacturer’s warranty has expired. This warranty provides full protection for the motorcycle, excluding parts due to wear and tear. How much does Harley Davidson extended warranty cost? Depending on where it is purchased and the length of the warranty, the cost of a Harley Davidson extended warranty will vary from as little as $1,200 to as much as $2,200 for a five-year warranty from what we researched. According to this Harley-DavidsonForums.com forum thread, dealers usually do not charge the same price, and the cost, from what forum members researched, runs around $774 to $2,000. A $50 deductible plan from a local credit union, for example, could cost around $774. On the other hand, according to this HDTalking.com forum thread, a Harley Davidson extended warranty for two to five years can cost around $964 to $1,644. What is going to be included? According to Stonewall Harley-Davidson, typical official plans offered by Harley Davidson will include a $50 deductible plan and will cover the drivetrain, motor, and transmission and will last five years. However, it does not cover everyday wear and tear of parts such as tires, brake pads, and belts, just like a vehicle warranty. 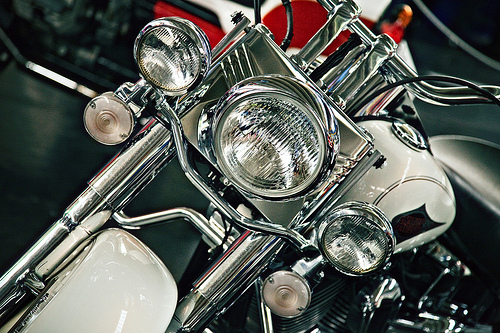 All repairs, when needed, will be performed at a Harley Davidson dealership using genuine parts. Other benefits include reimbursement for towing (up to $200), lodging ($150 per day) and a car rental ($750 maximum). Roadside assistance is also provided 24 hours a day. If you do decide to sell your motorcycle in the future, and it is still covered by the warranty, then you will still be able to transfer it as long as it’s an official Harley Davidson warranty. The coverage will begin after your factory warranty expires. For an additional surcharge, usually a few hundred dollars more, owners can add tire and wheel coverage, an option designed to replace your tires if they were damaged due to a road hazard. Aside from the dealer, do not forget to check with local third parties to see what kind of warranties they can provide. These third parties can offer similar coverage for a lot less; however, before choosing a third party always research their reviews online to ensure you’re buying from a reputable company. Do not be afraid to haggle. Many dealers are more than willing to bring their prices down. Most people that have purchased in the past stated that they often were able to get up to 10 percent off.